This bronzer colors feels more like a peachy blush to me – but I like it. (I’ve tried the Southern Magnolia brand before, and I like their mineral makeup). The lotion is pretty small sized, but I’m not in love with the scent, so I guess that works out! I absolutely love this eye shadow shade! It’s a beautiful shimmery brown/grey shade, and perfect for someone like me who likes the look of a smokey eye but wants to keep somewhat natural looking. (AKA – it doesn’t go on too dark). This email was sent to subscribers on November 28th. (At least that’s when I got my email). I still haven’t received my email with instructions though on how to get my missing Void Beauty nail polish. Verdict: I wasn’t a huge fan of last month’s box, and the nail polish missing from this box is a little disappointing. On the plus side, I really like both makeup items in this box. I know that shipping issues can happen, so I hope that all subscribers get their missing item soon, and that the December Bare Bliss box arrives on time and in full condition! As is, this box is worth about $20, but with the nail polish the retail value will be about $38. What do you think of the November 2014 Bare Bliss Box? Hi! I’m so glad I’m so disappointed to read these reviews. I was so looking forward to this subscription (my first one like it). I place my order (6 math sub) on January 25. I kind of thought I would have received it by now considering they claim that shipments go out around the 15th of the month. I’ve tried emailing them but have yet to receive any type of response. My account still says my order is being processed. I just cancelled my subscription which ends in July. Ok so I’m a little embarrassed. I just reread my first post…..it’s filled with typos! Yikes! Anyway, I was trying to explain that I am disappointed in how this subscription is turning out. Their customer service is terrible….I’ve sent at least two emails and have not heard back from anyone. How did you get a response back?? I canceled mine, too. I started with a three-month sub in Sept and renewed once, but Feb is my last. This box had great potential, but they need to work out many kinks, the most important being consistent deliveries. I wish now that I hadn’t purchased the 6 month subscription, but it was the best deal and it sounded so promising. It’s their lack of communication that I find the most frustrating. Robin – Emails seem to be hit or miss. Same with tracking numbers. It seemed that Gilt customers were receiving theirs at the end of last week so if you are on the west coast maybe it will show up tomorrow. I was hoping the box would improve with time. Good luck! I’m on the east coast….oh well, I suppose as long as I receive what I have paid for. Did anyone receive the December box yet? I read one review and was surprised to see a MLM item in it. I’m curious if that is in all the boxes. Still waiting, too. And I can’t get a response from their customer service. This is disappointing to read. I noticed that there hasn’t been a December review posted yet. I remember how excited we were when the box was launched. I’m going to wait and see what happens. I may rejoin if the kinks are worked out. I’m hoping to get the review up in the next day or two! This is why I wish there was an edit button. I saw that you wrote you were behind in reviews after I commented on this blog post. I’m curious to your thoughts about a doTERRA product being included. I emailed their customer service again. They finally sent me a tracking number. They sent it to the wrong address even though I logged into my account and it’s correct on my end. So frustrated; I really want to like this company because it’s only a few blocks from where I live. Oh no! I hope they are able to send you another box. Any news on our December boxes?? I reached out with an email and got no response….. I did the same, and Shelli replied that boxes were shipped via priority delivery on Saturday, and we should receive them this week. I can’t wait to get mine! I can never get an answer from them. The customer service is terrible. If you reach out via IG, they’ll tell you to email customer service even when you write that you can’t get answers to your email. Has anyone heard about the December box? I’m getting anxious with no word from them, especially since Shelli said we’d be back to boxes being sent on the 15th. You had me curious so I poked around her site. She tweeted about an hour ago that the final touches were being put on the boxes. There will be 5 samples. I’m curious to see how things work out. Thank you for sharing that! I’m looking forward to seeing what’s included. I got my nail polish today. Shipped directly from Void Beauty. I got a blue color, “Hear No Evil.” I like it. No nail polish for me although I like the color they are sending out. I received my nail polish today which is the same color as Sneaky Burrito. I am impressed. It arrived on time with no issues. Contrast that to the beads and pocket mirrors in other subs. I understand finances play into how things remedy. Still I am impressed that I have my nail polish. I noticed a commonality in our responses that we want the sub to succeed. I will be reading December’s review and comments. I hope she can work out the technical/server/email/shipping issues. On that last point, I grew up without internet/cell phones/etc. Didn’t have e-mail until high school. Had some major technology failures in high school that resulted in the destruction of hours of school work. So I have this low level of distrust in technology operating in the back of my mind at all times. I’m constantly saving screen shots and PDFs of things (and backing them up elsewhere). So although I also want this box to succeed, I am kind of worried at the statements I’m seeing from Shelli (“we resent all the e-mails” and “check your spam folder” and such — that’s the first thing I did, you know?). Something was clearly not working as many people did not receive tracking e-mails for this box over the course of the last three months. There was some glitch in the system. So the system needs to be fixed. I also received an email from Shelli with a forwarded copy of my original Void redemption email (which I never received). I appreciate her quick response, given she’s probably getting a lot of emails from subscribers. I’ll just cross my fingers I don’t get the pink color showing up on their blog – I’ve tried that color before with other brands, and it just doesn’t suit me! I’m not a fan of pink, either. My favorite from the Void site was “Envy” (blue with green shimmer). I like their blues and greens the best. Probably no matter what color I get, though, I’ll have a dupe of it from some other brand. Oh well! I just received my Void Beauty polish, and I got “Hear No Evil,” a beautiful royal blue. I’m very happy with this one! I had high hopes for this box based on the company’s statements regarding skin care/natural beauty and the promise of 5-6 products a month, but ultimately this box just isn’t for me. I will only be able to use the nail polish from the Nov. box, assuming the shade is agreeable. We received a nail polish in the Sept. box and in my opinion, 2 polishes in 3 months from the same sub is not very exciting. Luckily I thought to sign in to my account and managed to cancel about 9 hours before it was going to automatically renew and charge me for 3 more months. I wish Bare Bliss Box all the best because I love the idea behind it. I’ll keep an eye on it for the future. For anyone who has not received the Void redeem code, check your spam folder. I have Bare Bliss Box and Shelli Price in my contacts list but the email with the code went to my spam for some reason. When this box started I read their blogs/facebook religiously. Their mission statement was amazing and I was real inspired to support this new company. But, they seem to have forgotten what they wrote in that statement and this month’s curation is off. You’d think a skin box would have more than a sample of a lotion. Not impressed anymore. I do hope the sub is successful which will lead me to resubscribe in a few months. I ordered extra Adorn nail polishes because I liked the one I received in my first box which I absolutely loved. I don’t regret trying out a new sub. It was interesting, but ultimately not for me. This sub states that we are to receive 5-6 products. I received 3 products and redeemed my coupon for the 4th item which is the nail polish. This is not 5-6 items. As of now I only have one item that I can use from the box which is the Welda Pomegranate body lotion. I wasn’t able to use a few items from the October box either. I am used to that, but want to hit at least the cost of the box for items used. Also I did not receive a response to two emails, no November tracking and the box arrived up to a week later than others, and I still don’t understand how they went from the servers were giving them problems preventing the box from shipping to a product is missing. I am annoyed that I had to redeem the nail polish coupon to Bare Bliss. They are the ones that know it is missing! I would understand better if it was to Void Beauty. I noticed that TFB did the same thing with people who wanted compacts. Maybe there are rules unknown to us that requires them to do this. I’m still an Amazon gal at heart. There are too many issues and products I can’t use for me to continue at this time. I’ll be watching to see what the future will bring. I totally agree with you. I bought the 3 month sub, and I had been charged for another 3 months before I even got this month’s box. I was disappointed. Would prefer a bigger lotion maybe, or an extra tube to make it to 5 items? One of my items last month was spilled out, I thought I could get maybe one or two applications of what’s left, and it turned out it was dried out all together. I was supposedly sent replacements, and then was told will be in this box, then I got an email that they forgot and will be sent separately. I love all the items in this box except the nail polish but it is not 5-6 items. At least you love your Adorn nail polish, mine was a horrid green color, like muddy green. I work in a professional environment with a very conservative boss, I cannot wear green nail polish period. Same for me, I also got charged for the next 3 months even though I didn’t receive my 3rd box. The products so far are good, but not the 5-6 items as indicated in the November box. I guess I’m sticking around for another 3 months and hopefully they will sort out all these issues. I received the email yesterday to get the nail polish. I thought we’d get to pick the color, but it’s just a coupon to verify that you were missing the item. Also, since this was an “I Love My Skin” box, I thought there would be some.skincare items. I’m not a fan of bronzer or shadow, so this box was a miss for me. Even without the nail polish (I also haven’t received the email yet), I really like this box. Last month’s box included makeup colors that didn’t match my skin tone, but these were much better. The sun kissed bronzer is beautiful and warm, and my moth eyeshadow is a grayish purple – a beautiful match for my blue eyes. And it has great staying power (when coupled with my Nars eyeshadow primer). I’ve already ordered more samples from Simplicity Cosmetics to help me choose from their other colors! I also hope December’s box is back on schedule, as I really do want to stick with this one. This is their 3rd box. I signed up for their 3 months option and this is my last box. Thanks for the reviews! Mine, too. I’m glad I loved my eyeshadow this month (I also got the color Moth), because that’s the only item in the last two boxes that has worked for me at all. Just not the box for me, I guess. Blush is having beauty mystery box on sale @ DERMSTORE.com for $34.95 and use 5HOLIDAY to get $10 off. $35 is the regular, one-time Blush subcription price; $25/mo is the normal monthly sub price. Plus you can just sign up for the sub, get it for $25, and then quit later if you only want one month. 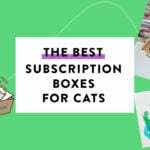 If you sign up for sub And use the coupon code you get the box for $15. Can’t beat that!